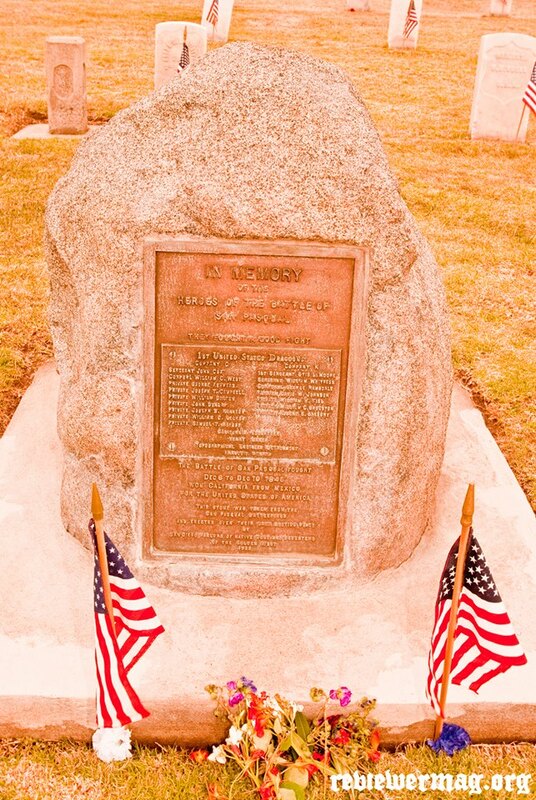 Above: Boulder with the memorial plaque for the American Dragoons killed by Mexican Lancers, “Californios”, during the Battle Of San Pasqual, December 6 to 10, 1846, near present-day Escondido. The Californios were expert horsemen and had the advantage of being well-rested and well-equipped with long spear-like lances they used to stab the U.S. soldiers who were mostly on mules or else dismounted and on foot. 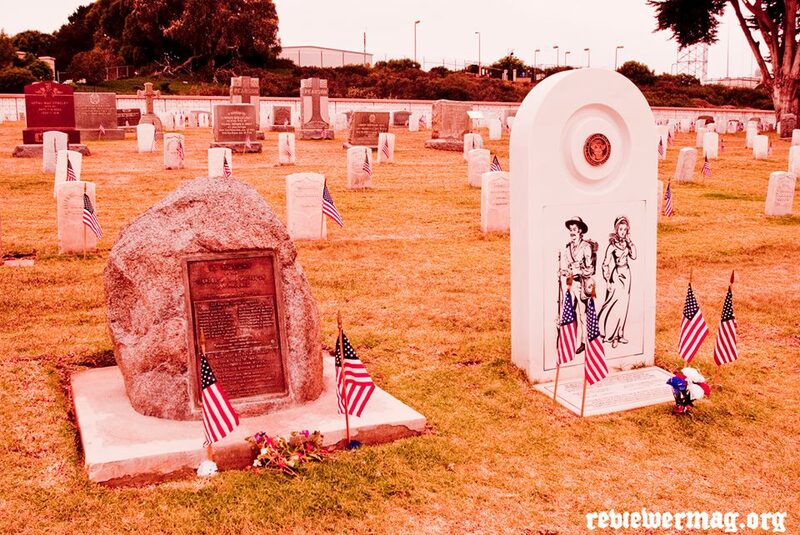 The Americans had been on a long march in the rain before getting to the field of battle that cold December morning and, sadly, their gunpowder was also wet so they were forced to use sabers to fight the Californios with their firearms, lances and braided lariats. It must have been a mess. 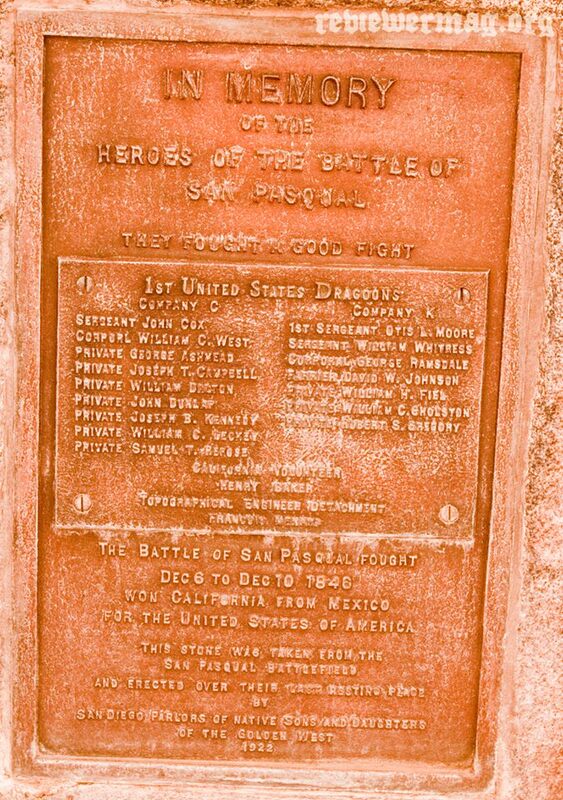 Although it can’t be said definitively that the U.S. won the battle, the Dragoons were among the first real wave of U.S. troops sent here to help secure California and fulfill Manifest Destiny. Eventually San Diego would be held by the U.S., cutting off coastal access to San Francisco from Mexico. A few years later gold would be discovered at Sutter’s Mill and the 49ers would come flooding. By 1850 California joined the Union. 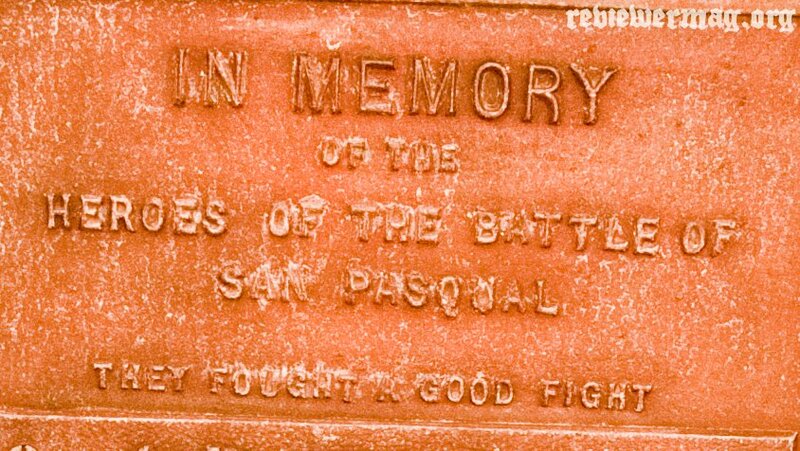 Above: On the left is the monument to the Battle Of San Pasqual which is inscribed as being over the graves of its dead. To the right is the fine marble headstone dedicated to the Mormon pioneers. 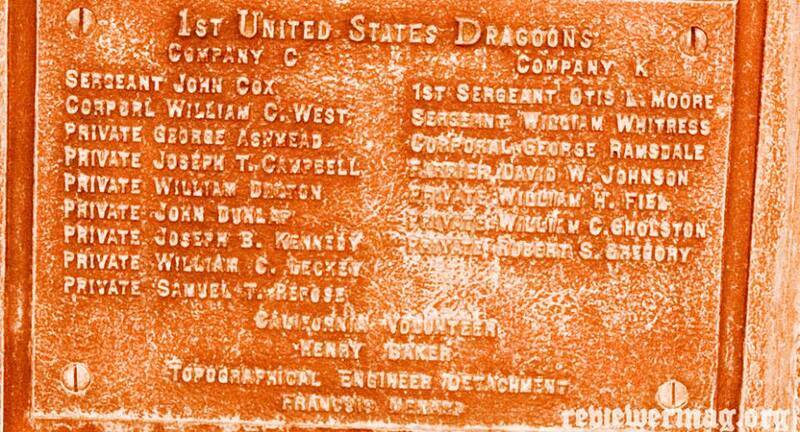 Above: Close up of the plaque for the Dragoons. Read more on Wiki HERE.